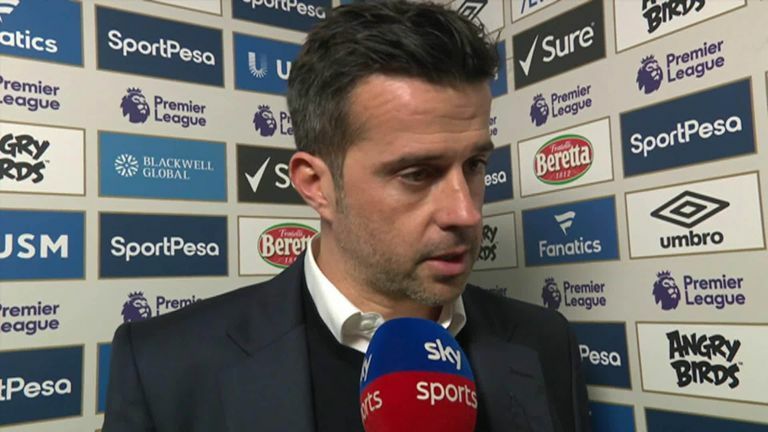 Everton manager Marco Silva admitted he felt 'really bad' after seeing his side lose 6-2 at home to Tottenham. Marco Silva highlighted Dominic Calvert-Lewin's disallowed goal as the turning point in Everton's 6-2 humbling at home to Tottenham. Theo Walcott fired Everton into a first-half lead at Goodison Park, and the Toffees looked to have added a quickfire second when Calvert-Lewin steered a brilliant header into the far corner on 24 minutes. 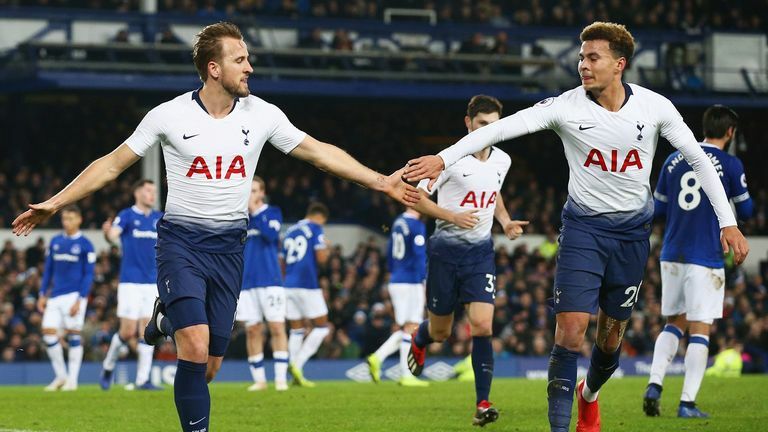 But referee Paul Tierney penalised the Everton forward for a nudge on Davinson Sanchez in the build-up, and Spurs took full advantage of their reprieve with a stunning display of clinical finishing. "We feel really bad, as we should," Silva told Sky Sports. "We wanted to achieve something different and tried to give our fans different feelings. "We started well and the second goal is a key moment in the game. The referee saw something there. Then, after that, we made a big, big mistake and gave them a moment to equalise. "After that moment we have to keep our composure and shape, we have to keep playing in our way and being aggressive, but we kept making mistakes and you can't do that against a team like Tottenham." The defeat saw Everton concede six goals at home in the league for the first time since August 2014 and extended their disappointing record against sides in the top six. "When something like this happens we have to forget the top six and wins against them," Silva added. "We did so well in previous matches against them but we have to improve and when we play them again we have to be able to compete, nothing more. "I'm not here to say one or the other. We win together and when we lose and make mistakes we have to be together too. "Tottenham played faster than us and we have to look and realise why it happened. When we played the first 20 minutes so well before it went 1-1."